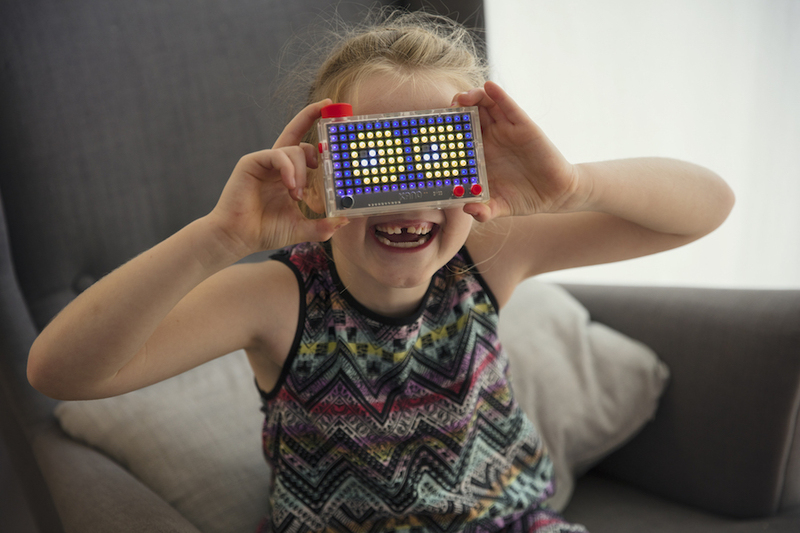 Pixel Kit: It's Lite-Brite for the 21st-century, tech-savvy kid. 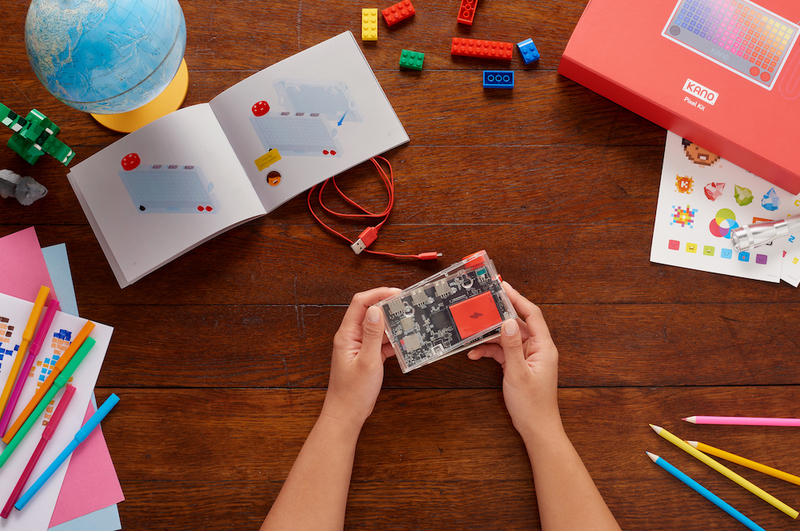 Pixel Kit: It’s Lite-Brite for the 21st-century tech-savvy kid. And it’s awesome. If you were obsessed with Lite-Brite as a kid like I was, I bet you, er, your kids will love Pixel Kit, a new Lite-Brite-esque coding toy from Kano. It’s all the best of the quintessential ’80s toy, with the cool tech updates a 21st-century kid expects. When the kit arrives, it’s in pieces. On purpose. Your child will follow the directions in the Pixel Kit book (included) to build their own light board. Once it’s built, they can start playing some of the games that are included in the basic kit — our favorite was the PacMan-style video game — or download the Kano app and start building their own with Scratch coding. The possibilities for learning and play are endless. 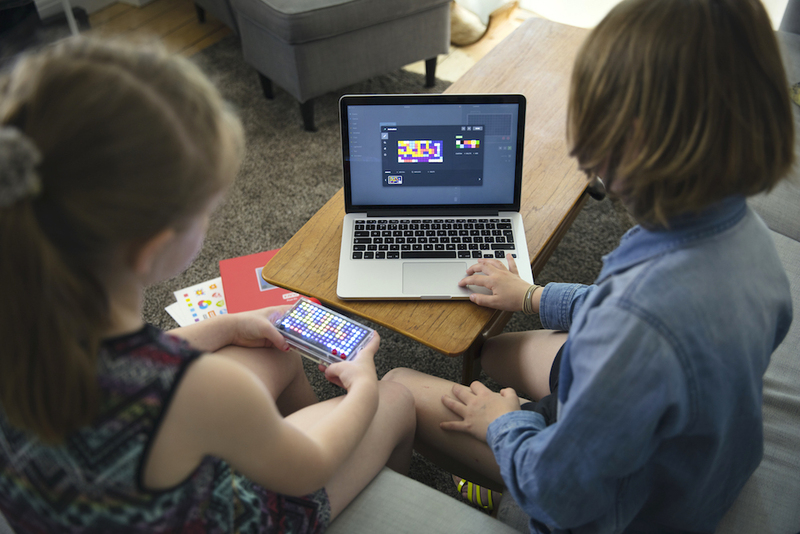 Through challenges that start simple and become more complex, your child can paint with light by designing an image on the grid in the app. Or, they can turn the Pixel Kit into an alarm clock by using logic and sound blocks to track and announce the time. You can even follow the weather or track the International Space Station. And get this, my 7-year-old set this whole thing up without help. Now, the Pixel Kit is pricey at $80 — more than I’d usually spend on a toy. But, there’s so much that can be learned with it that it’s a great choice for a splurgy gift. Or, if you want your kids learning to code in a fun, engaging way, it’s worth the expense. You can find the Pixel Kit coding light board at the Kano website or our affiliate Amazon. But check both sites before you buy, because Amazon third-party sellers were jacking up the price, last time we checked. Thanks to Kano for sending us a sample of the Pixel Kit to try out for this feature.